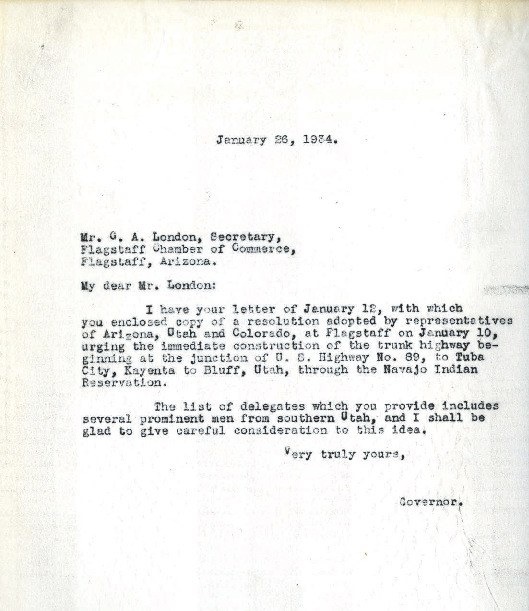 Correspondence between Utah Governor Henry Blood and Flagstaff Chamber of Commerce Secretary G.A. London concerning a resolution to build a trunk highway off of Highway 89, through the Navajo Nation, ending in Bluff, Utah. 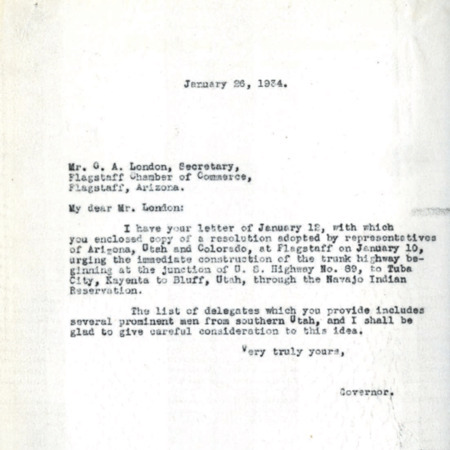 Governor (1933-1941 : Blood), “Correspondence between Henry Blood and G.A. London, January 1934,” Highway 89, accessed April 22, 2019, http://highway89.org/items/show/10239.